For our September meeting we have been invited to visit Oxford Film Studios and Audiomotion, Europe’s leading performance capture service provider – right here in Oxford! 17th September from 7:30pm. Please book your free ticket at Eventbrite using this link. Ticketing is required in order to ensure that there are enough guides for visitors. This is a joint visit with Digital Film Editors Oxford. Mick Morris (Managing Director) and Brian Mitchell (Operations Director at Audiomotion and Founder of The Mocap Academy) will take us through the background of motion capture and how Audiomotion Studios has evolved in the industry. They will explain how the medium can be used, and the benefits of digital characters. We will discover how their technology facilitates directors and actors to bring ideas to life. It is Audiomotion’s belief that some may be put off by the restrictions posed by using technology in a creative environment. However, they will demonstrate how understanding this technology will open up a vast array of possibilities. During the presentation at Audiomotion Studios, Mick and Brian will demonstrate Real-time previs, a visual tool that aids both actor and director to understand, navigate and interpret the virtual environment. Using real character rigs, environments, objects, terrain and props they are able to create a live, accurate and authentic representation of a 3D world. Whilst motion capture is well know for its use in blockbuster films such as Exodus: Gods and Kings, World War Z, Harry Potter and The Chronicles of Narnia, Popular TV titles such as Dr Who, triple-A video game titles such as Ghost Recon and Call of Duty and everything in between, this technology is fast becoming more mainstream, affordable and integral to the entertainment, animation, arts and sports industries. 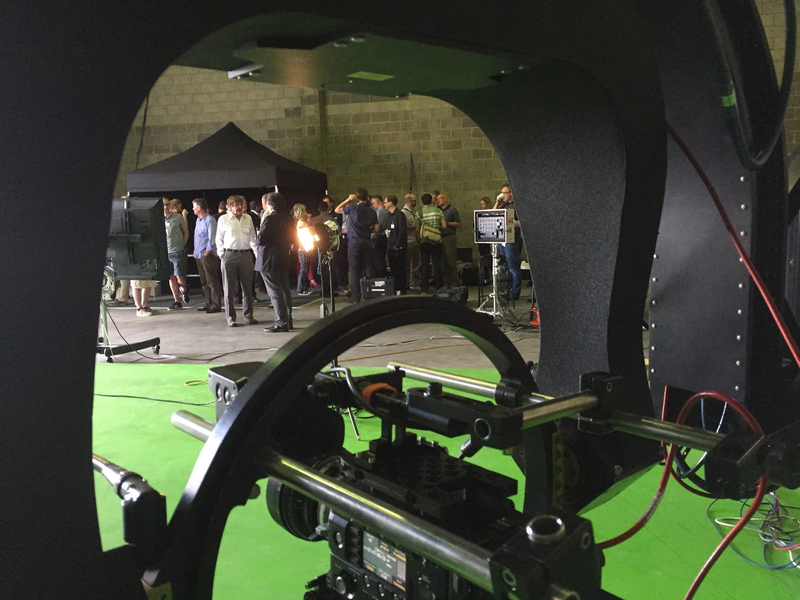 With a 32 ft x 16 ft green screen, roller door access, substantial ceiling height, Motion Control Crane, and a VFX 4K camera kit package Oxford Film Studios are equipped for all filming needs. Just 2 miles from M40 Junction 8, approx 45mins from London, their brand new, large scale permanent green screen appeals to those in the film production, commercial, corporate and photographic fields alike.